A colorful blend of old Europe, Croatia's coastline reminds guests of an ancient, beautiful world. 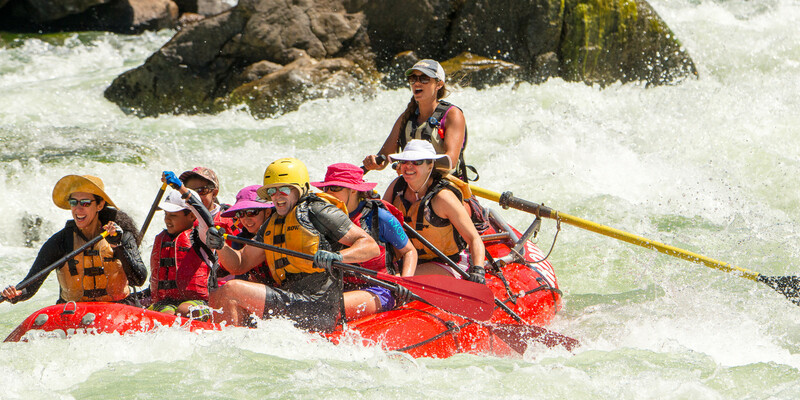 ROW Adventures boasts this epicurean voyage for small groups to explore the steep coastal mountains, golden strands of beach, and small islands towns all while anticipating each island or coastal area's local cuisine! As you cruise along the shores, walk through historical paths and savor age-old wines, you'll find yourself asking, "Why haven't I visited Croatia before?" The Adriatic coast of Croatia, known as Dalmatia, is a colorful blend of old Europe, abruptly rising coastal mountains and golden strands of beach. The numerous islands and extensive coast beg to be explored by boat. Here are Renaissance villages hidden in idyllic coves and others that sit like beacons to wandering seafarers. The islands and coast have seen many conquerors, each of whom have left their architectural influences behind. The Illyrians, Greeks, Romans, Byzantines, Slavs and Venetians all left their mark. The island towns are replete with red-tiled roofs, narrow streets of white limestone, elegant carved balconies, windows and portals. Weaving this rich tapestry together is the warm Adriatic Sea, beloved among those of the Mediterranean. It sparkles with a rare clarity and, according to NASA astronauts, shows as the bluest sea in the world when viewed from space. The salty waters invite the body and soul for soothing swims. 2019 will be ROW’s 27th year in Croatia! No other adventure travel company has the breadth or depth of experience in Croatia as do we at ROW. In 1988 and 1989, long before Croatia became the new darling of travelers, we were leading trips and learning her charms. We had to pause as Yugoslavia broke apart and the various Republics won their independence. We resumed operations in 1998 and have returned every year since, leading the way for others to follow. Croatia today is a peaceful country excited about its future and on the path to become a member of the EU. It has much to offer the traveler - the UNESCO World Heritage City of Dubrovnik, miles of beaches, isolated swimming coves, charming towns, a rich culture and friendly locals. With a Croatian guide, Croatian ship owner and crew, this trip gets you fully immersed into the local culture and history as no other can. Our primary ship, the Romanca, is in a class of its own and one of the finest on the Dalmatian Coast. 105’ in length, made of solid Slavonian oak with teak decks, the crew is professional, friendly and gracious. Food aboard is excellent, carefully prepared and artfully presented by a talented Croatian chef. Across the sea from Italy, influenced by years of Venetian and Ottoman occupation, Croatia is a land of dramatic limestone mountains of craggy beauty. Among the islands and captivating old cities, is some of the finest cuisine in the world. In Italy, they say that the fish and shellfish on the Croatian side of the Adriatic Sea are better, because the bottom is mainly rocky, unlike the Italian side, where it tends to be muddier. And as Rebecca West remarks in her historic and monumental travel book published in 1941, "Black Lamb and Grey Falcon," people in this part of the Balkan peninsula "cook lamb and suckling-pig as well as anywhere in the world," especially in the hills behind the coast, where sage, thyme and basil grow in lush, perfumed profusion. Tastes of Turkey also are evident in dishes such as like burek, a flaky pastry filled with cheese, delicious when fresh and hot and a remnant from the centuries of Ottoman occupation of the interior. Croatian wine, once celebrated, is staging a comeback with small producers creating flavorful wines in a variety of styles. There is Posip, a crisp, chalky, flowery white made from the same grape as Hungary's furmint, and Plavac Mali, a dense, chewy red, full of pepper and blackberry notes, which is a cousin of California's zinfandel. There is the legendary Grk from the island of Korcula, Dingač and a fortified wine called prošek. For a guest's eye view of this trip click on the link to "Postcard Perfect Croatian Islands" by Alison Gardner, the travel journalist for Travel with a Challenge magazine. Family Trips: Even a yacht tour in Croatia can be a family's "trip of a lifetime." On all of our trips around the world we offer family-friendly and kid-exclusive trips...meaning, if you aren't traveling with kids, you sadly are not invited. We have specialty guides, earlier dinner times, have picked kid-friendly hotels and more to create the best atmosphere for you and your family. On this Croatian yacht adventure we can start a family-focused charter or add you to an existing one, if available. Please call for more information. Chartered Trips: In addition to scheduled departures, ROW can arrange private charters on a variety of other yachts for as few as four, or as many as 20. We invite you to wander with us on this sensational taste of Croatia! Arrive in the beautiful historic city of Split and check into your hotel. Depending on your arrival time you may want to enjoy a stroll around the city and start to absorb the atmosphere of this amazing country. Today, we have a morning walking tour to explore the bustling port of Split and its ancient monuments. Throughout history, Croatia has been significantly located at the periphery of world powers, and Split testifies to this uniquely hybridized culture. Your tour takes you to the Roman Emperor Diocletian’s Palace, whose peristyle, colonnaded square dominates the space. Although the palace stands as an incredible example of Roman ruins, its arterial streets are coursing with people and modern businesses. The modern vibe fuses with ancient Egyptian pink granite columns at the square by the Silver Gate, and Corinthian capitals sit upon them. In this age of empires, Diocletian merged cultures within his palace walls, and black sphinxes imported from the mystical land of the pharaohs neighbor the Temple of Jupiter, once the Baptistery of St. John. Here, a collection of wood panels dating back to 1214 and depicting Christ’s life are housed. This morning, enjoy Split’s unique atmosphere where ancient ruins serve as a casual backdrop to café terraces. In the early afternoon we make our way to the harbor to board our yacht and enjoy our first lunch together. After lunch we settle into our individual cabins. If weather permits, we continue our afternoon with a voyage to the Island of Brač, where we anchor near or in the Pučišća harbor. If weather conditions are poor, we continue our stay in Split harbor for the evening and ideally leave first thing in the morning. No matter where we harbor, tonight is the start of our culinary adventure on board. Perhaps the menu will include a beef pot roast known as pašticada, often served with potato gnocchi. This festive meal is the holy grail of Dalmatian cooking, often savored during holidays or days of celebration. For dessert, enjoy the delights of palačinke (pah-lah-CHEEN-keh, meaning ‘pancakes’). You might recognize palačinke as form of crepe, whose delicious and varied fillings will end the evening on a sweet note. Itinerary Note: The exact itinerary is subject to weather conditions and may vary. Wind conditions are quite variable, but the seas are usually calm. In order to maximize the time available for explorations we travel under motor power. Tonight’s dinner focuses on food from the mainland and you’ll be introduced to a traditional Dalmatian pot roast known as pašticada (pahsh-tee-TSAH-dah) perhaps with a side of potato gnocchi and for dessert, a palačinke (pah-lah-CHEEN-keh, meaning ‘pancakes’). B,L,D. This morning we explore Brač, the third largest island of the Adriatic and best known for its karst limestone relief dotted by numerous cavities, coves, and gullies. While Brač’s limestone quarries are not widely recognized, white marble taken from the island has been notably used for Diocletian’s palace, Berlin’s Reichstag, and the White House. Learn more about the importance of stonework and the island’s indigent white marble as we tour the town of Pučišća and the stone cutting school situated there. Learn about this significant Croatian tradition as you witness the impressive works of art that complement the quaint Mediterranean town whose Baroque white roofed buildings climb lazily up the hills above the port. We return to the yacht to travel to the town of Splitska, from which we will begin a hike through aromatic olive groves and vineyards famed throughout Croatia. Our path takes us to the town of Skrip, the island’s oldest city where its ancient heritage is most present with its traces of Illyrian, Croatian, and Roman cultures. Explore artifacts and relics at the Native Museum of the Island of Brač to gain insight into the island’s rich ethnographic history. After our museum visit, you explore more of Skrip as you enjoy a fresh and distinctly Brač lunch in a private home of one of the locals. Enjoy sour cherries, olive oil, almonds, and grapes sourced from the island and more as you relax in the sun. Once we finish lunch, we continue our island exploration with a drive to Vidova Gora, the highest peak within all the Croatian islands, where you can appreciate the panorama of the cerulean Adriatic before you. We continue our outdoor adventure with a mostly downhill hike of about three miles. First stop is a mystical monastery hidden in the mountains. Off the well-visited shore and cloaked by trees lies the Blaca hermitage, also referred to as the Pustinja Blaca. Founded in the early 16th century by two Glagolitic monks seeking refuge in a cave from the Turks, the monastery was incorporated into the cave that offered sanctuary and was in use for over 400 years. Not only is this hermitage visually stunning, it also houses a 19th century printing press and books extending back to the monastery’s commencement. Truly one of the trip’s highlights, the Blaca hermitage is guaranteed to astound. Once we finish our guided tour of the monastery, we continue our hike through the pine-filled mountains toward the coast where our yacht awakes. Cool down from the day and splash in the sea before we continue our cruise to inviting town of Vrboska, located on the island Hvar. Croatia is comprised of a collage of cultures, and you can only truly appreciate this by tasting the food. Croatian cuisine is wildly varied and regional. As a crossroads for merchants and empires, Croatia’s dishes have been influenced by different cultures for centuries, and you find vastly different dishes inland, on the coast, or dispersed throughout its many islands. Each day we enjoy another taste of Croatia. For example, one evening we may have crni rižot (TSIR-nee REE-zhot), or ‘black risotto.’ This dish has its roots in Italy, where it is known as Risotto Nero di Sepie. This black risotto gains its color and smooth texture from the ink of cuttlefish, whose ink is spread over the rice as well as chunks of the meat and sometimes squid. This seafood specialty lets you taste the best of the Mediterranean and is accompanied with fresh greens supplied from a local farmer. Your meal concludes with a traditional Croatian dessert such as fresh figs drizzled in lemon juice to lighten your taste buds. After we dine onboard, those seeking a bit more fun may wander to shore to a local tavern for a wine tasting. Others may enjoy watching the stars from the deck of our yacht. Vrboska, Hvar’s smallest village, has earned the name of “little Venice” as it lies tucked away in the depth of the bay, with bridges arching across the canal carving through the town. The ancient churches and houses maintain their original Gothic, Baroque, and Renaissance architectural heritage and are set against pristine pine forests and lush vineyards. Vrboska hosts the unique sharply angled bastion of the fortress church of St. Mary of Mercy, built in the 16th century in defense of the Turk’s imminent invasion. This oddly shaped church was built to withstand a siege and articulates the harsh beauty of the fishing town and its tumultuous history. Nearby, the church of St. Lawrence, is decorated with one of Dalmatia’s best art collections, some works by Venetian masters of Titian influence. Despite its Venetian gloss, this small town is very much a fishing town, and you explore this rich heritage at the Museum of the Sardine Fisherman. This museum, bursting with artifacts and old documents, articulates the relationship between the Adriatic’s abundance marine life and the people whose livelihood depended on it. Starkist Tuna Company was founded by Croatians before they relocated to California, and this museum gives you insight into the way of life of these fishermen. After visiting Vrboska, we walk about four miles through Hvar’s stunning and aromatic countryside. With its sweeping fields of lavender, scented olive groves, and verdant vineyards, you can appreciate why Hvar is often referred to as the Queen of the Croatian islands. Our countryside ramble takes us to our yacht in Stari Grad. Stari Grad, the more reserved and cultured neighbor of Hvar, was once the capital of the island and a former 4th century BC Greek Colony. Once here, we head to Tvrdalj, the summer home of one of Croatia’s most famous poets: Petar Hektorović. This 16th century castle, built within a Turkish fort, bears the inscriptions of Hektorović’s favored quotes in Latin and Croatian, and the fish pool bordered by stone arches creates an inviting courtyard. A Renaissance man, Hektorović designed the primary building to represent the world: while the pond is for creatures of water, the neighboring dovecote is for creatures of air; the garden represents the creatures of the ground. There is also time to peruse the museum enclosed within a monastery and wander the piazza lined with cafes and Renaissance-era architecture that has withstood the trials of time and conquerors. Nowhere is this more evident than the Cyclopean Walls remaining from the Illyrian period whose inscription bears remembrance of the original Greek town that marks the town’s unique symbiosis of the past and modernity. After exploring relics, ruins, and remains we return to the yacht for lunch. We pull up the anchor and set sail along the coast to the city of Hvar known for its pulsating nightlife. After taking the weather, the group’s interests for the rest of the night, and other pertinent factors, we may choose to anchor in a quiet cove several miles away from the bustling harbor or drop anchor in the city’s port. Depending on where we anchor will determine the evening’s activities, but if in town, then you may enjoy walking through the polished limestone streets of Hvar town, having an ice cream or coffee while you watch the world stroll by. Tonight, dinner may be Pršut. Pršut is a distinctly Croatian dish as this dry-cured ham differs from its Italian cousin prosciutto and remains distinct to the islands. Unlike prosciutto, the climate and location can influence the meat’s taste as the ham leg is traditionally hung outside where the fresh air contributes to the drying process. Two Croatian coastal regions are known for their pršut: Dalmatia and Istria. Unlike their Italian neighbors, the Istrians dry the meat in the bura, or winter wind, which carries the scents of herbs growing along the mountains. Dalmatians expose the meat to the jugo wind, the sea wind, as well, so that the meat is further infused with the salt of the Adriatic Sea. Pršut is uniquely cured so that it absorbs the Croatian environment so that you can truly enjoy the delicacies of the Adriatic. Vrboska to Starigrad. In the morning we visit the village of Vrboska. Vrboska is a charming town with narrow streets, ancient churches and houses, situated at the head of narrow bays surrounded by lovely pine forests and vineyards. It also is the home of a fortified church which houses a magnificent collection of paintings, including some by the school of Titian. There is also a fun “Museum of the Sardine Fishermen” that tells the history of fishing from this town. Once upon a time the Adriatic was a world producer of sardines, tuna and other fish. Starkist Tuna Company was started by Croatians who emigrated to San Pedro, California years ago. After visiting the town, we offer a hike of about four miles on level ground, through fields, olive groves and vineyards, across a part of the island of Hvar. We meet the boat for lunch in Starigrad. Starigrad is the home of Petar Hektorovic, one of Croatia’s most loved poets. We visit his 16th century home, uniquely built within a Turkish fort. There is also another excellent museum housed in a monastery and streets with small cafes. Enjoy a stroll amid Renaissance era architecture and narrow streets and perhaps see the so - called “Cyclopean walls” built of gigantic blocks of stone dating from the Illyrian Period. We will tie up at the wharf or perhaps move into the bay for more privacy nd another Epicurean feast. Perhaps tonight we’ll taste our first Prsut - a smoked ham that is home-cured in the bora, a dry winter wind that blows from the mountains through passes down to the sea. There are many local fish still found in the Adriatic and each night we’ll be able to sample a different one. The names don’t translate well, but the flavors are memorable. Vrboska to Starigrad. In the morning we visit the village of Vrboska. Vrboska is a charming town with narrow streets, ancient churches and houses, situated at the head of narrow bays surrounded by lovely pine forests and vineyards. It also is the home of a fortified church which houses a magnificent collection of paintings, including some by the school of Titian. There is also a fun “Museum of the Sardine Fishermen” that tells the history of fishing from this town. Once upon a time the Adriatic was a world producer of sardines, tuna and other fish. Starkist Tuna Company was started by Croatians who emigrated to San Pedro, California years ago. While many consider Stari Grad to be the city of colors, the town of Hvar is often known as the Adriatic’s crown jewel with its more stimulating, sultry urbane vibe. Early risers may enjoy a visit the local market. Swathes of lavender and rosemary add fragrance to the air along with the orange groves on Croatia’s sunniest island, and the Venetian townhouses imbue the town with modern glamour against the backdrop of the 13th century walls, marble streets, and Gothic castles. There are several options this morning that include a steep walk up to the Genoese Fortress perched above the town; the theatre of Hvar established in 1612, the cathedral, and the Franciscan monastery. We also offer a five mile hike for those so included, passing through the Velo Grablje valley to the sparkling coast near Milna. We reconvene in the afternoon onboard the yacht, where you can enjoy another fresh lunch while we cruise toward Vis if weather permits. Revel in the freedom of crushing through blue water riffled lightly by wind with white sand beaches gleaming brightly in the distance. If we cross the channel today, we will drop anchor at the town of Vis or at Komiza, which lies at the other side of the island. Vis is quite isolated in the Adriatic and as close to Italy as Croatia. It’s a place that has defined its own flavors. In the picturesque seaside town of Komiza, there is an excellent local homebrew called raki, brewed from carob pods. The island of Vis is also well known for its Komiška pogača, or Komiža flat cake. This savory bread combines salted sardines with a šalša of tomato, olive oil, and parsley. If we didn’t make it to Vis yesterday, then our morning begins with a cruise to the island, while enjoying the deep blue waters of the Adriatic. Assuming we are already on Vis, then we have many options for our day. Weather permitting; we visit Biševo’s Blue Grotto, off the coast from Komiza town and on the island of Biševo. There’s nothing like spending the morning soaking in the sun’s reflection off the waves, and the Blue Grotto is in fact a cave partially immersed in water. During different times of the day, the water can reflect a luminous aquamarine light spotted with glowing silver. After exploring the grotto, we hike through the small island’s pine forests and maquis shrubland as we make our way to one of the island’s coves where our yacht has traveled to meet us. Later, the enigmatic and remote Vis provides you with many options for learning and discovery. Vis was closed to tourism until 1989, and it retains its air of mystery imbedded in the military tunnels and submarine depots. The island has numerous vineyards and several wineries and we hope to visit one of these. We may also visit the caves on Mount Hum where Joseph Tito, the leader of Europe’s most effective Nazi-resistance movement, sought shelter or, the submerged coves used to hide submarines during the fraught Cold War period. We anchor in either the port of Komiza or the town of Vis and the evening is yours to command as you explore all the town has to offer. Discover your own epicurean adventure tonight as you choose how to spend your evening and what Croatian creations you wish to sample. We get a very early start to begin our longest cruise segment of the trip, traveling about 5-6 hours south to the island of Korcula. The island is famous for ship building, olive oil and a unique white wine called Grk. We arrive in the town of Korcula at the south end of the island. This is one of the most dramatic medieval walled towns of Europe. The stone palaces and churches are a magnificent display of architectural style ranging from 14th to 16th century and house excellent collections of religious art. Korcula lays claim to being the birthplace of Marco Polo and in September there is a reenactment of the famous battle between Genoa and Venice where he was taken captive, thrown in prison in Genoa and thereby wrote his now-famous Travels. After our walking history tour of the town, we stop in for some delicacies at the Cukarin, a lovely bakery run by a lovely and talented artisan named Mrs. Smiljana. We return to the boat with time for a swim followed by dinner on board. If we have time the island is famous for olive oil as well as a white wine called Grk, grown only near the town of Lombarda where we visit one of the better wineries for a private tour. After dinner, here or on Hvar, we invite some of our friends and if they're available, they join us to sing “klapa” which is a form of a cappella singing usually done by a group of four to six men. It is most lovely and a very special treat during this trip. Our morning begins early with breakfast and a short cruise to the Pelješac Peninsula, a mountainous land dotted with sunny villages and sheltered, shadowed coves. Pelješac Peninsula is Dalmatia's largest peninsula; although it remains largely populated with macchia, fruit trees, vineyards and olive orchards rather than people. We explore the peninsula with a five mile walk beginning from the quaint village of Viganj, which looks more like a botanical garden than a village, and heading to Orebič. Orebič boasts of some of Dalmatia’s best beaches edged with stands of pine and tamarisk. Mt Ilija looms above the town’s museums and churches. Not only are the beginning and ending destinations stunning sights to behold, the walk through groves of pines and pomegranates is a delight. On our way, we also may visit a small maritime museum to further learn about the island’s profound connection to the Adriatic and the world. We return to the yacht and cruise north to the tip of peninsula, drop anchor and enjoy our last festive dinner aboard the yacht. This morning we enjoy a final breakfast onboard and then bid farewell to captain and crew. Once we step off the boat and onto land, we have a great morning of exploring the Pelješac Peninsula’s more obscure wonders. First, we drive to the city of Ston, known for its history salt production and the Walls of Ston. The walls of Ston, originally built as a series of defense walls, stretch to Mali Ston and are commonly known as the European Wall of China. Witness this impressive architectural feat before exploring the impressive acres of mussel and oyster farms. See, touch, and taste some deliciously fresh oysters and possibly sample the famous Pelješac wine called Dingač. Once we have enjoyed the salty delights of Ston, we continue on to Dubrovnik. Dubrovnik cannot fail to stun with its ancient marble streets and baroque architecture. While Dubrovnik has a definitive charm of its own as one of the world's best preserved medieval towns, you might recognize it from HBO’s Game of Thrones, as the city was used for King's Landing as well as the House of the Undying. When we reach Dubrovnik, you are taken to a hotel of your choosing before being free to explore whatever interests you in the town that perfectly represents the Mediterranean’s play of light, stone, and sea. Exact routes are determined by weather and wind conditions and the itinerary may vary from that printed above. We do our best to visit all sites mentioned, but sometimes in a different order. A flexible attitude is requested. *Private Charters - Many groups like to charter a trip together with friends and family and we love helping you plan for these special occasions. If you'd like to do this and one of the dates above do not work, please contact us as we can set up custom dates for your group. The Romanca was built in the 1990's and launched into service in 1998. ROW / Adventure Unbound chartered her maiden voyage that year! She has been updated and renovated twice since then. She was proudly constructed on an island in the northern Adriatic off the coast of Croatia, using Slavonian oak - (Slavonia is in the northeast part of Croatia and not to be confused with Slovenia). She is a sturdy, sea-worthy vessel. At nearly 100' (29 meters) in length and 26' in width, there is ample space on board. The top deck has sun chairs and is a beautiful place to read, relax and watch the sea and landscape. There is a rather steep flight of stairs from the main salon to the lower section where the cabins are located. She has eight cabins with ensuite bathrooms. Each has a double bed with drawers underneath, a small porthole window, wardrobe and mirror. Normally meals are enjoyed on the aft deck, outside. However, if inclement weather arises, there is also plenty of space in the interior salon/dining area. A small bar is also located in this space. In addition to the captain, there is a cook, two sailors and a host or hostess. Cruising speed is about 9-10 knots. When the Romanca pulls into port, she is a head turner! She is much higher in the water than many other yachts and an overall larger boat than the Turkish gulets that were brought to Croatia in the past 5-10 years. Your days on the Romanca promise to be full of variety and comfort! Cabins: 16 berths in 8 cabins. Lower Deck: 8 double bed cabins. While the yacht has 9 cabins and holds 18 passengers, we allow a maximum of 16 guest spaces accommodating room for singles and spacious living on board. On the Romanca, all eight guest cabins are below deck and have double beds. All cabins are equipped with air conditioning (24 hours) systems and ensuite shower and toilet. All cabins have portholes, wardrobe, drawer, mirror. The yacht has large amounts of deck space, an inside and outside dining area and is beautifully fitted. Spacious lounge on the main deck with large table and sitting area for 16 guests. Big sun decks with deck chairs with mattresses WITH sun protection. The Romanca is staffed with a full crew to help you with all your needs and ensure that your cruise in Croatia will be a trip of a lifetime. The Romanca is always staffed with a Captain, Cook, two Sailors and a Host/Hostess who are available and at your disposal. People from all walks of life and all ages join our trips. We get a mix of couples, singles, families and friends, usually between 25 and 60 years of age. Some are physically challenged. Some are very active and some are not. Without exception everyone comes to have a good time and the variety of people and interests found on each trip makes it all the more fun. Our adventure consultants know that a primary consideration may be the mix of people on the trip, so we're happy to tell you who has signed up and help you choose a compatible group. ROW has taken people in their nineties on our trips. It's important that you're fit and active and choose an appropriate trip. When is the best to time to go? Can you accommodate for dietary needs and food allergies in the menu? As long as we are informed in advance of any food allergies or dietary needs, we can mostly accommodate for it. In some rare instances, where substitutions may not be locally available in Croatia, we may ask that you bring your own substitutions. Even a yacht tour in Croatia can be a family's "trip of a lifetime." On all of our trips around the world we offer family-friendly and kid-exclusive trips...meaning, if you aren't traveling with kids, you sadly are not invited. We have specialty guides, earlier dinner times, have picked kid-friendly hotels and more to create the best atmosphere for you and your family. On this Croatian yacht adventure we can start a family-focused charter or add you to an existing one. Packing light is always best when you’re traveling internationally. Make sure to bring copies of your airline tickets, your receipt for the purchase of your airline tickets, and a copy of the front page in your passport. It is a good idea to pack loosely fitting clothing that can be easily hand washed, and a 50/50 blend of cotton and polyester. You may want to pack a nice outfit for going in to town. Women will feel comfortable in a dress or skirt that hits below the knee to show respect to local customs. See our packing list for a detailed description of what to bring. The currency in Croatia is the Kuna, although some places will accept the Euro, you may be spending a fortune in the exchange rate. You can either exchange currency before you travel or get it from an ATM when you arrive, again watch for the exchange rate. Remember, it is never a good idea to keep a lot of cash on you while you are traveling, but in local shops and markets having some Kuna on you is helpful. Does the crew of the Romanca speak English? The crew of the Romanca speak Croatian and limited English. Your guide will speak fluent English and will be your primary source of information while you are on your trip. Is it possible to explore the cities without a guide? You are free to explore the cities by yourself. The crime rate in Croatia is low, but it is always best to use common sense, and keep any personal items close to you. It is always smart to stay in a group in areas you are unfamiliar with to decrease your chances of not being able to find your way back. Do I need a power converter on the ship? Depending on where you are traveling from, you may need to bring a power converter with you. The outlets on the Romanca are 220 volt outlets. The US and Canadian standard is between 110 and 120 volts.